Today is International Women's Day, and although you could and probably should say that every day should be a day for all women and all men and all of everyone, I'm glad there's a day that I can point people towards four graphic novel biographies of four influential women. Except really one of them is about three women, so that makes *counting on fingers* six women. 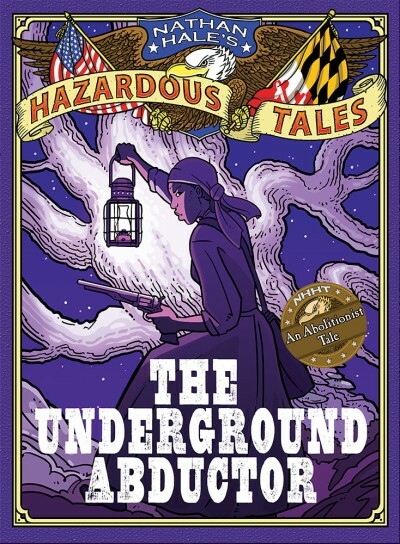 Nathan Hale's Hazardous Tales: The Underground Abductor (2015, Nathan Hale) -- tells the story of Harriet Tubman, the Underground Railroad, and the abolition movement. It's the fifth in a series of graphic novels about American History perfect for middle grades, told with humor and adventure. Like many of the others I'm featuring today, it's a more complex biography than you'd expect from a "comic book" format. This book also includes small stories about Frederick Douglass and Nat Turner; it's a great introduction to that time period and the building tensions over slavery in the pre-Civil War United States. 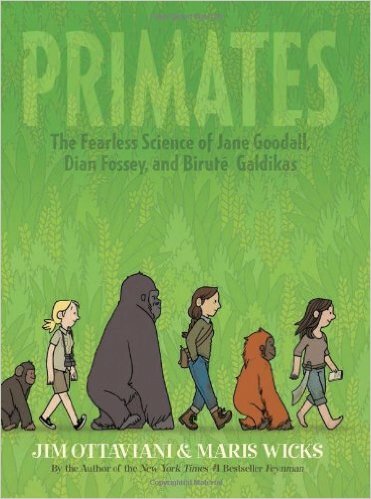 Primates: The Fearless Science of Jane Goodall, Dian Fossey, and Birute Galdikas (2013, Jim Ottaviani and Maris Wicks) -- looks at the work of three female scientists who each did groundbreaking research with chimpanzees, gorillas, and orangutans. Good (if brief) biographies of each, including their connections to Dr. Louis Leakey and the challenges they had to overcome as women in their fields in the twentieth century. 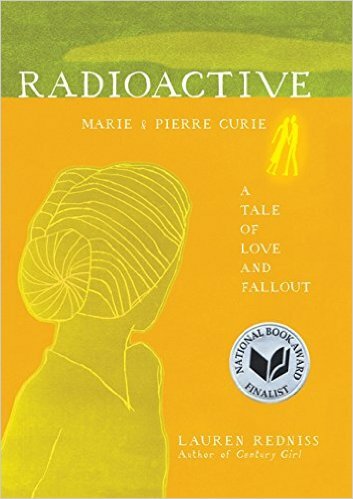 Radioactive: Marie and Pierre Curie - A Tale of Love and Fallout (2010, Lauren Redniss) -- this unusual book breaks the typical format of graphic novels told within panels (like a comic book), opening and intermingling the artwork and words in a beautiful way. The story is more than just a biographic retelling of Marie Curie's discoveries, and gets into her tumultuous relationship with Pierre. 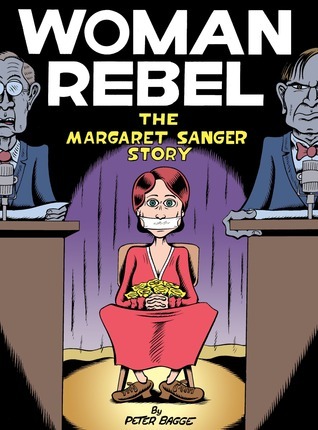 Woman Rebel: The Margaret Sanger Story (2013, Peter Bagge) -- despite the cartoony illustrations, this biography of Sanger is often very adult, with descriptions and captions as frank as Sanger herself is in describing sexuality. This is a great example of a historic biography I'd love to share with students--if it weren't for two pages in the middle somewhere. Nonetheless, as an adult reader, and a history teacher without the best grasp on who she was and why she was so important, this was a perfect primer to the woman and her personality. Well worth your time, even if it's not one you hand to a student.